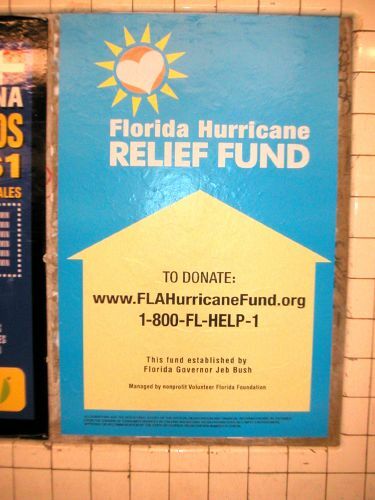 Ah, yes, the city hardest hit by 9/11 has posters in the subway asking us to send donations to Florida, to a hurricane relief fund set up by Jeb Bush. I'm surprised it was so pristine. It must have just been put up. James took the photo, as I didn't have a camera with me, but I spotted it. Published on November 5, 2004 9:51 PM.